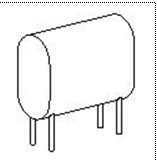 Our Oil Tank Capacity Chart program displays a chart of remaining gallons for various liquid depths for a number of standard fuel oil tanks. I recently added Version 2.1 to include a couple of new sizes at a user's request. Version 2.2. posted today, ,allows users to edit, add, or delete definitions and to print generated charts. Fractional inch dimensions are now allowed so my tank chart now matches the nominal capacity within a gallon for all depths! 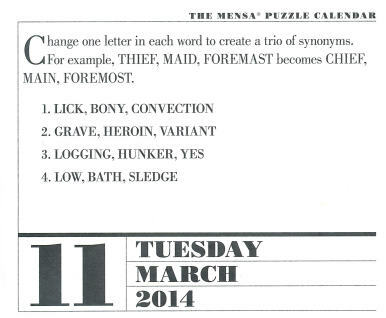 Here is yesterday's Mensa Calendar puzzle which prompted today's program. My language-oriented, crossword-addicted, wife solved it in less than 10 minutes. I got two of the three words in the line 2 puzzle in 10 minutes; then decided it was programming time! Given a word, the Words Change 1 Letter program scans our dictionary file looking for words which differ from the base word in only one letter position. Qualifying words are displayed. One must still find the three synonym words from each puzzle line, but I found that I could handle that. If you have the weird kind of mind that can visualize synonyms from words that are not quite the ones you need, you may not even need this program! Give it a go. Just in case, the program and the dictionary are both included in the executable zip file download. Our SquareWordGrids program implements generation, user play, and program solving of Square Word Grids, an extension of our Word Squares program previously explored. "Word Squares" are square grids filled with the same set of words in both the horizontal and vertical directions. "Square Word Grids" in this program have words in every row and column, but not necessarily the same words. These are harder to build and to solve because the search space for possible words is much larger. In fact, Word Squares are so common that most grids produced by this program will of that variety! At right are a few non-symmetric examples. Users can specify the number of letters to pre-fill when working on solving and I need 7 or 8 pre-filled for the larger grids to have a chance at solving manually. A viewer was having trouble getting the program to work on his system, receiving invalid data format errors. 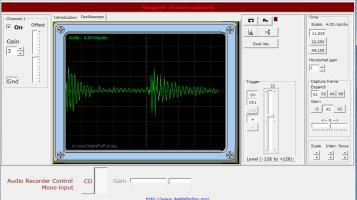 I could duplicate the error when "Dual Channel" input was specified when only monaural input was available. The problem persisted because the single/dual channel option was save and restored across multiple runs. 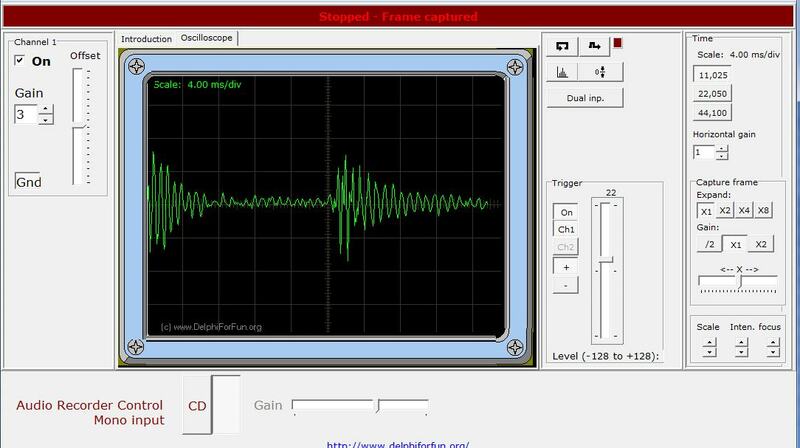 Oscilloscope 4.2.3 posted today is a temporary fix which resets the input format to monaural when the program is started. I'll work on a better fix next month.